Building and maintaining excellent rapport with the top management of various organisations and industries to forge collaborative industry-academia alliances. Initiating Memoranda of Understanding with major companies, research agencies and institutions to fetch funded projects and bring about improvement in facilities and technology. Exposing students and faculty to industry practices and developments in technology. 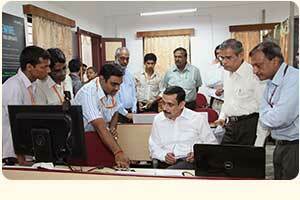 Facilitating visits by senior industry leaders for interaction with faculty and students. Organizing guest lectures, seminars and webinars conducted by industry for the benefit of students. Securing sponsorships from industry for technical events like conferences, seminars, symposia, workshops and student contests through strategic relationships. Setting up labs along with industry and promoting entrepreneurship development. Seeking the help of companies to spare working products / prototypes for academic demonstration purposes. Facilitating in-plant training, industry visits, summer and final semester internship for students across all disciplines and campuses. Encouraging industry and corporate entities to offer consultancy and sponsored research in consonance with the expertise available in the university. Promoting Management / Executive Development Programmes conducted by the business school among the corporate world. Soliciting support from reputed companies each year for the Corporate Action Plan with respect to engineering, management, biotechnology and other disciplines. Initiating appropriate measures to support Heads of Placement of Engineering, Management and other disciplines so as to improve the quality and range of placements that match the aspiration levels of students and enhance the image of the University. Representing / participating in events conducted by industry / other institutions. CIR has signed many Memoranda of Understanding (MoUs) with the corporate sector, that are beneficial to students, faculty, the University and the industry. These MoUs cover various areas as listed above. NAL - Provision of Laboratory and Library facilities to Amrita, Guest Lectures, Guidance for Project work, Internship for students. In addition, many companies like Accenture, IBM, etc. conduct guest lectures and webinars on various technical topics. 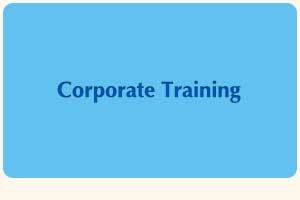 The Corporate Action Plan template is discussed by CIR with the senior officials of the industry and the corporate world to arrive at possible areas of cooperation. Thereafter, based on areas of mutual interest, a template is arrived at to take them to the next level. 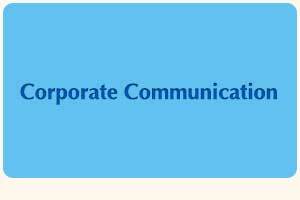 The Corporate Communication (Corp-Com) function is a new initiative of the Directorate. It is primarily responsible for profiling Amrita with key media, industry bodies, government and other important stakeholders. The Corp-Com responsibility entails managing the university’s relationship with senior journalists and publications of importance, key influencers within the academic community, university circles and industry associations. Corp-Com is responsible for communicating our overall strategy to staff across the different campuses and implementing activities that engage and motivate staff across the department and the university. It is the responsibility of the Corp-Com Coordinator based in Ettimadai, to assess, track and share corporate communication activities and best practices amongst all campus locations. Work with key media representatives and AMRITA’s local corporate communication arms / representatives / specialists to position AMRITA as a role model in its field through written and oral communications in the print and electronic media. Work with the management to determine the areas where the university needs to reinforce its presence and develop thought leadership materials and whitepapers, strategic events, media related sponsorships, marketing communications and PR activities accordingly. Work with senior spokespeople across the field of education to prepare, place and promote their views and thoughts that will help position AMRITA as a leading university providing high-class value-based quality education in the undergraduate, post graduate, and Doctoral levels. Advise, support and implement an internal communications programme for the management to ensure ongoing communication of the university’s vision, challenges and opportunities. During the different stages of the life cycle of an organisation, it will have different priorities and challenges. Many a time, the organisational elements that are effective and appropriate at one stage may not be suitable for success in another stage. This is especially true when there are rapid changes in the market, economy, technology, and in the nature of human resources. In order to survive and grow, organisations have to align their human resources and technology to their goals and need to be abreast with customer demand and stiff competition. Every organisation today has to continuously bring in new knowledge and skills and transform and evolve itself to meet the long-term and short-term goals and challenges. Organisations will benefit more from consulting inputs provided by outside experts rather than solely depending on the knowledge and resources within the organisation. Most of the organisations today engage external consultants for different sorts of technical, organisational and human resource development. CIR is best equipped to provide both technical and management consulting to organisations. The strength of CIR in this area is the accumulated wisdom as a result of its several years of guidance provided by its highly experienced senior academic members, who are at the helm of affairs.